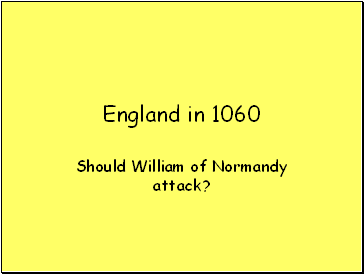 Should William of Normandy attack? 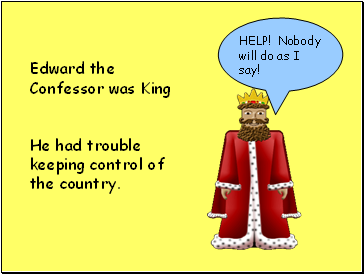 He had trouble keeping control of the country. HELP! Nobody will do as I say! 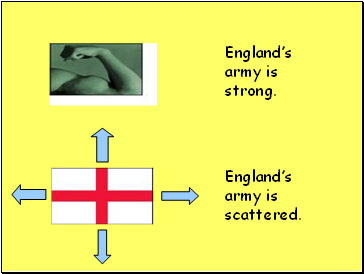 Most of England was poorly defended. 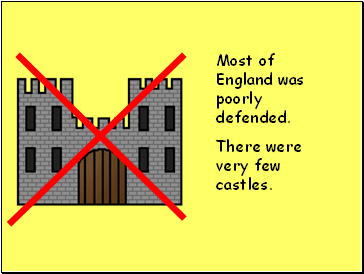 There were very few castles. 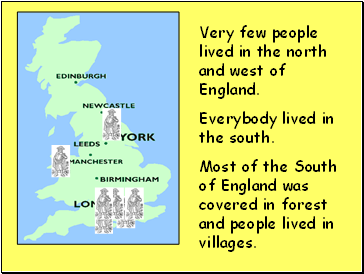 Very few people lived in the north and west of England. Everybody lived in the south. Most of the South of England was covered in forest and people lived in villages. 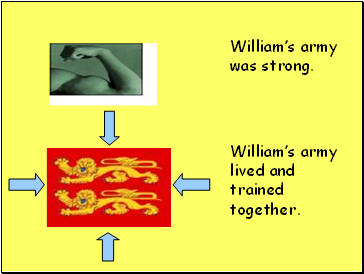 William’s army lived and trained together.